My Xperia L phone screen blackout without anything show out,any way to solve? I was so happy when my mom. Buy Sony experia L for me ' I just Have little question about my phone. How is the internal memory ? Is it 3Gb? Iam using xperia l its very slow nd touch also very Bad ple any help guys.....how to speedup my mobile..
My problem is that in my Xperia L in homescreen there is coming google widget but i want back the clock . 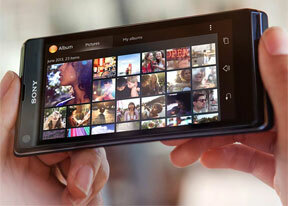 Xperia l is very awsome and good looking in hands.it willing to handle with one easly.But take care. 5. xperia l is better mobile in this price rannge. 1. I think there is no negatives in this mobile to share but the cemera quality is normal when compare other high range xperia mobiles. Guys what is the best phone xperia l or lumia 625? After call ending it will be hanged and pressing twice lock button it will be work normally plzz help how can I avoid this problem?? Does the xperia L ia LTE ready phone? Anonymous, 28 May 2014Just restart the phone and it'll be solved I have the same problem & after few hours of restarting it happens again, how can I solve it???? I have same problem & after few hours of restarting it happens again, how to solve??? ?